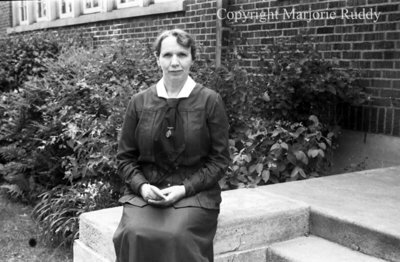 A black and white negative of Nurse Patterson sitting on the steps of a building in Whitby, Ontario. In this view her hands are in her lap. Nurse Patterson, June 1939, Marjorie Ruddy. Whitby Archives A2013_040_932A.